In this article we list 10 interesting facts about the upcoming ultra-compact SUV Maruti Ignis. Ignis from Maruti Suzuki made its first public appearance at 2016 Delhi Auto Expo. The car received quite a bit of attention from the auto enthusiasts. 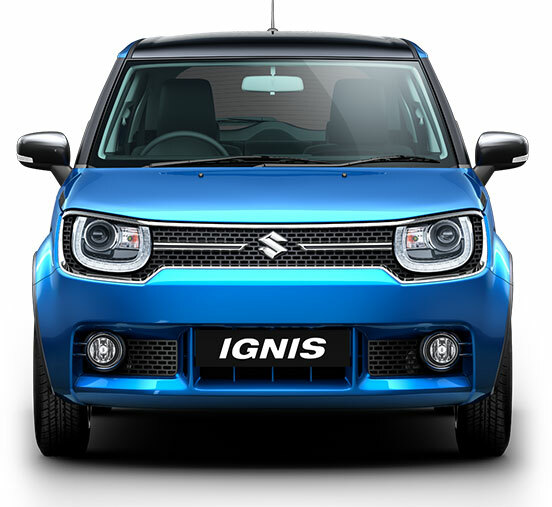 What distinguishes Ignis from its competitors is its compact size, eye-catching sporty design and an interesting cabin. In India, there is a great frenzy for owning an SUV rather than hatchbacks / sedans. The Indian youth is now after SUV trend and Maruti Suzuki which is a pioneer in building cars is now all set to push the new Ignis. Along with Maruti Ignis, currently popular Vitara Brezza (Check Vitara Brezza Colors) was showcased at Delhi Auto Expo 2016. The upcoming Maruti Ignis gets a 1.2 litre VVT K-Series 4-cylinder DOHC petrol engine and 1.3 litre DDiS diesel engine. The petrol engine is same as that of Maruti Swift, one of the best selling cars in Maruti Suzuki’s portfolio. While the 1.2 litre petrol engine is capable of churning out 83bhp of power and 115 Nm of torque, the 1.3L diesel engine produces 74bhp of power and 190Nm of torque. In global market, Maruti Ignis gets an all-wheel drive (AWD) system which is christened as ALLGRIP AWD by the company. When launched in India, Ignis will be made available only in front-wheel-drive variant and might bring the AWD version in later stage. Ignis, the ultra-compact SUV from Maruti Suzuki will be exclusively sold through premium Nexa dealerships across the country. Maruti Suzuki introduced NEXA dealerships in order to provide premium experience to its customers. Currently Maruti S-Cross and Baleno are sold through NEXA. Maruti Ignis becomes the third car in NEXA portfolio. 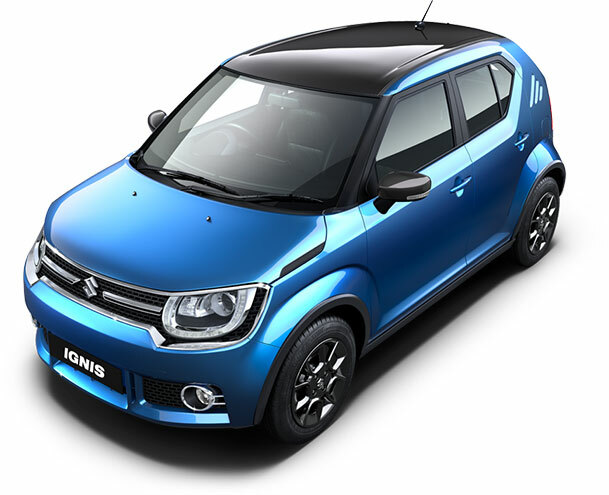 Maruti Suzuki is offering very impressive mileage figures for Ignis. You can expect better mileage figures both in the case of manual and automatic. Maruti Ignis Petrol is expected to offer mileage of 22 Kmpl where as the Ignis Diesel offers 29 Kmpl mileage. Maruti Ignis gets a feature packed infotainment system. This ultra-compact SUV from Maruti Suzuki gets a 3-spoke multifunction steering wheel, a compact instrument cluster that comes with analog dials and digital MID. The compact SUV from Maruti Suzuki gets a touchscreen infotainment system that features Apple CarPlay and Android Auto. The car also supports Mirrorlink. Maruti Suzuki is now doing a good job in the safety department. The top trims of Ignis gets features like ABS (Anti-lock Braking System) with dual-airbags as a standard feature and is available across the whole range. 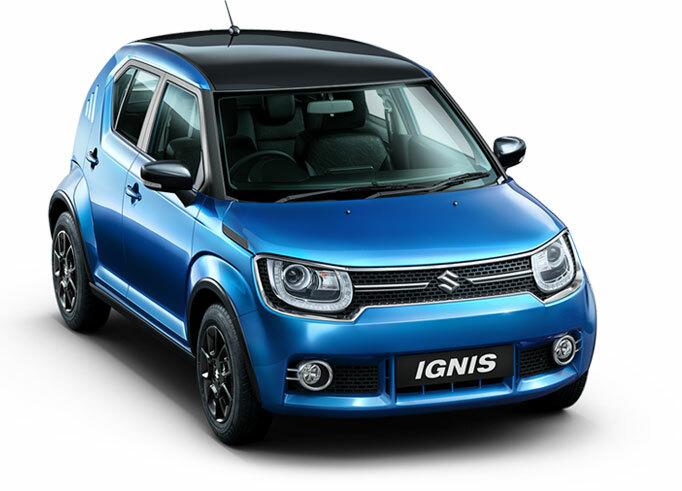 Ignis would also be getting seatbelt pre-tensioners as well as ISOFIX mounts for its passengers for enhanced safety. The upcoming Maruti Ignis gets a host of customization features like roof-wraps, fog lamp bezels and front grille color strips. Customers are also provided choice to personalise the interior elements like door handles, gear lever housing and many such micro components. Ignis is the first car from Maruti Suzuki to get features like LED projector headlamps, LED Daytime Running Lights and 15-inch black alloy wheels. Currently there are not much cars other than Mahindra KUV100 that fits the Micro-SUV segment in India. With Maruti Suzuki’s expertise Ignis can set a benchmark in Ultra-Compact SUV segment. Maruti Ignis is expected to be priced in a very affordable price bracket. Ignis is going to be cheaper than Maruti S-Cross and Maruti Baleno. The car is available in 6 different color variants, check out all Maruti Ignis Colors. What is your take on Maruti Ignis? Let us know by commenting below.